“Think Clearly… Works Fast!” So claims Brain Awake, a complex nootropic stack by Irwin Naturals, a well-known California-based nutritional supplement company. Marketed as a “high performance booster,” Brain Awake unites a novel combination of nootropics, many in premium form, to maximize your thinking power. 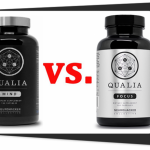 Find out why Brain Awake’s complex formula makes for one of the best nootropic stacks for mental energy in this Best 5 review. Calm stimulation. 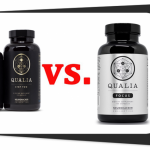 Supplies caffeine and brain energizers, complemented by relaxing herbal nootropics. High potency. Several concentrated herbal extracts, standardized botanicals, advanced B vitamins, absorption-enhancing black pepper extract, liquid delivery… yes, it is potent. Balanced design . Formulated to boost performance and productivity while nourishing the central nervous system for healthy function. Wake up your brain, max out your thinking power, and stay cool, calm and collected. When we first start this Brain Awake review it looks like its 13 ingredients are probably boosting many different cognitive pathways. This is not necessarily true… and not necessarily a bad thing. Brain Awake’s 13 nootropics are, in fact, addressing just a few brain pathways very well — with a diverse array of targeted beneficial bioactivities. The outcome: Increased energy, sharper focus add improved mental clarity while remaining calm – adding up to better mental performance. Let’s see how Brain Awake’s individual nootropics contribute to this overall game plan. Brain Awake supplies three B-Vitamins for homocysteine: In supporting vitamins B6, B9, and B12, Brain Awake hits a clinically researched trio for helping to control homocysteine. Homocysteine is bad for heart and cardiovascular health because it damages blood vessel linings. 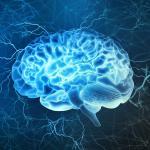 For the same reason it may interfere with blood flow to the brain and increase risk of cognitive decline. AlphaWave® L-Theanine, 100 mg: One of our favorite nootropics, and the best for raising the Alpha brain wave frequency that is associated with feelings of relaxed alertness. 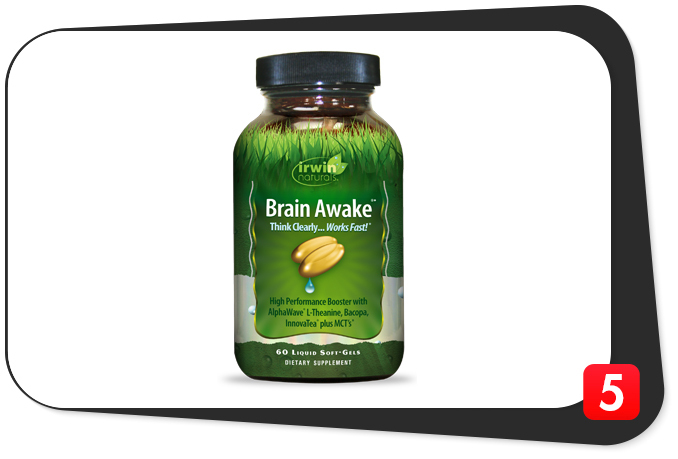 Brain Awake uses a premium branded form that is backed by clinical research. InnovaTea® Natural Tea Extract (standardized to 95% Caffeine), 52 mg: Another quality branded ingredient, standardized to a high level of caffeine. Straight up stimulation with a side of antioxidant activity. Lemon Balm extract (10:1), 30 mg: Legendary for its soothing, sleep-inducing effects, lemon balm is suggested to indirectly supports mental performance by reducing stress and balancing out mood. Rosemary extract (3% rosmarinic acid), 30 mg: Supplies antioxidant activity and acetylcholine protection, potentially helping with healthy brain function during the aging process. Also traditionally used for its relaxing effects, and, in essential oil form, as an inhalant to stimulate clarity and focus. BioPerine® Black Pepper extract (95% piperine), Ginger extract (5% gingerols): Black pepper extract and ginger both possess “hot” stimulating effects; black pepper extract also is used to enhance the absorption of other nutrients. Brain Awake Bonus: Liquid-Filled Softgels. Brain Awake, like other Irwin Naturals supplements, is delivered in liquid-filled softgels that not only look cool, but may offer some advantages for absorption and bioavailability. Brain Awake is one of the more impressive nootropic formulations on the market today. Right off the bat, Brain Awake gets points for including the B vitamin trio of B6, B9, and B12. They are not the only B vitamin suggested to improve brain health, but they are evidence-backed when combined for helping to reduce homocysteine levels. High homocysteine seems to have a negative effect on brain circulation. Even better, Brain Awake uses enhanced forms of these B vitamins – this is important because some older populations have a harder time absorbing them. With the foundation vitamins covered, Brain Awake moves on to boosting energy in the brain — but does so in a clever way. All of the above, if left unchecked, could lead to a jittery, overstimulated brain state that is not especially good for productivity your mental performance. Bacopa monnieri and holy basil extracts are both adaptogens that help to regulate cortisol levels that are triggered during stress and stimulation. In other words, when you’re feeling that Rush of stimulation from caffeine, stress, pressure, or other stressor, these adaptogens help you to remain calm and clearheaded. L-Theanine offers more support for relaxation, and is popular as a complement to caffeine because it is believed to help reduce the stimulant’s jittery side effects. By raising Alpha brain waves, l-theanine helps with alertness on an entirely different pathway than the stimulating effects of caffeine. Lemon balm extract and Rosemary extract offer yet another calming level of support to further take any sharp edges off Brain Awake’s revitalizing mental energy stack. Lemon Balm for Sleep: Given lemon balm’s history of use as a sleep aid, we wonder if this botanical stack might be overkill, leading to drowsy effects – especially since they are presented in high potency extract form. 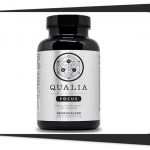 Overall, Brain Awake employs a fascinating nootropic stack strategy: boost brain energy across several pathways, and then temper the mental energy surge with multi-prong support for relaxation, antistress, and calm. It is designed to function as a high performance booster without triggering counterproductive side effects like jitters and fatigue – and looking at the way Irwin Naturals has formulated Brain Awake, we have to say it hits the mark. In addition to mental performance effects that you can feel, Brain Awake offers secondary benefits for overall brain health — it supplies brain cell-defending antioxidants and support for the important cognitive brain chemical acetylcholine. Brain Awake is formulated to improve brain function in mental performance, specifically suggested for focus and mental clarity; cognitive task performance; information retention; and mental energy. We see this is a nootropic stack to take for people who use caffeine on a daily basis, such as professionals and college students, and wish to supplement their caffeine intake with an extra pop of stimulation and nootropics that are designed to optimize that stimulated state. Irwin Naturals is a well-known brand that has been around for a long time. Irwin Naturals products are highly regarded, and are widely available across a range of different online and brick-and-mortar retailers. In fact, if you take supplements you will probably recognize the distinctive green stylings of Irwin Naturals bottle. The company has a following of supportive customers who will be interested in taking Brain Awake. Brain Awake may also draw in new customers, due to its its presence in many popular retail outlets and its widespread appeal for anyone seeking to boost their mental energy and cognitive performance. 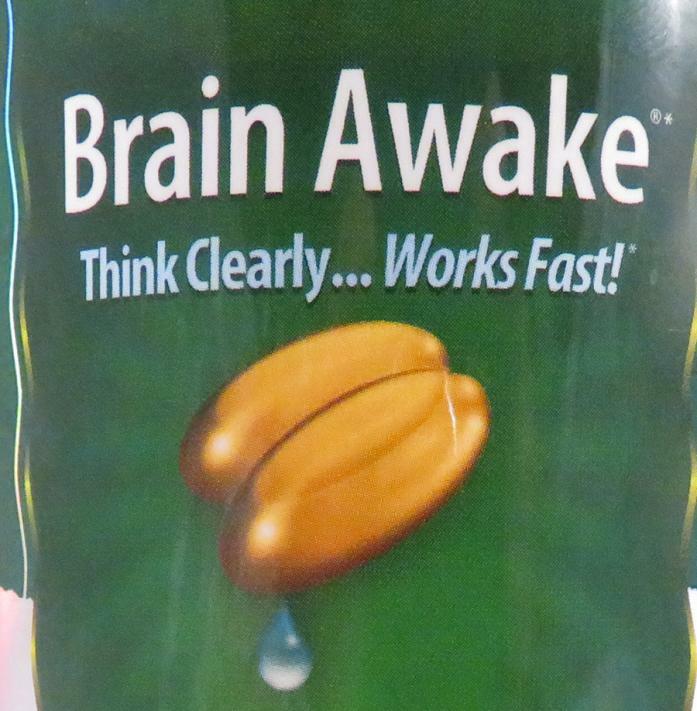 Brain Awake delivers some caffeine, about 50 mg per serving. This is not a large amount, and we would not expect it to bring about any negative side effects, especially since the whole point of Brain Awake is to stimulate the mind without causing side effects. 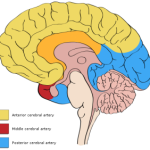 If you are highly sensitive to caffeine, just be aware that Brain Awake is caffeinated; otherwise we expect Brain Awake to be well-tolerated by all populations. Brain Awake is an outstanding nootropic brain supplement that displays many of the hallmarks we see in the greatest nootropic supplements on the market: Premium ingredients, high potency ingredients, absorption enhancers, nootropics that work in synergy, and more. Brain Awake’s smart formulation effectively achieves its cognitive goals. It’s not great for all aspects of cognition, but the aptly named Brain Awake is one of the best products on the market — if not the best product — for achieving a state of calm-yet-highly-energized mental clarity. I purchased Brain Awake, and on my 3rd day using it, I started going over my vocabulary books, and relized I was alert, attentive and able to re-retain the information I had studied for many years; My vocabulary books, but as I got older (55+), I didn’t retain much. I noticed with “Brain ALert”, I was able to study and retain 4 full pages of vocabulary words diligently, with retention; I am also reasoning and reading faster. I hold a Master Degree from NY Institute of Tech., and education is an important factor for me; Brain Awake, has helped me my daily studies.